There has been a great accumulation of research on the uniform town planning philosophy since the 16th century in the Spanish colonies and now its impact on modern urban planning is an important contemporary aspect on this theme. The planning techniques of grid pattern for rational administrative management and missionary work were carefully literalized by the Laws of the Indies to create a large number of urban spaces with highly physical homogeneity. Symbolizing this planning philosophy is the Ordinances of the Philip II promulgated in 1573. However, almost no towns were built in perfect accordance with this code, and rather the process of real town construction and its transformation have been the subject of many researches. On the other hand, in view with the specific planning techniques described in the Ordinances of Philip II, there is some intentional operation that is difficult to explain clearly from the viewpoint of the planning philosophy of homogeneity. This paper is to review the Ordinances of Philip II as an accumulation of the concrete town planning techniques for the Spanish colonial town construction and to verify the perspective of "diversity creation" and "response to city extensibility". KASHIMA, Akihiro. A perspective of "diversity creation" and "expandability". 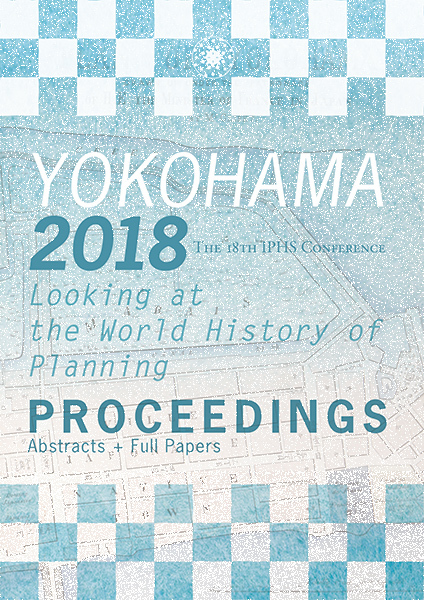 International Planning History Society Proceedings, [S.l. ], v. 18, n. 1, p. 685-692, oct. 2018. ISSN 2468-6956. Available at: <https://journals.open.tudelft.nl/index.php/iphs/article/view/2720>. Date accessed: 20 apr. 2019. doi: https://doi.org/10.7480/iphs.2018.1.2720.